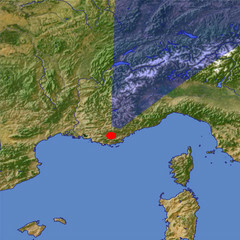 The Maritime Alps mark the eastern end of the Provence and the border between France (foreground) and Italy (background). In the near foreground the Verdon river and the upper part of the Verdon Gorge can be seen. 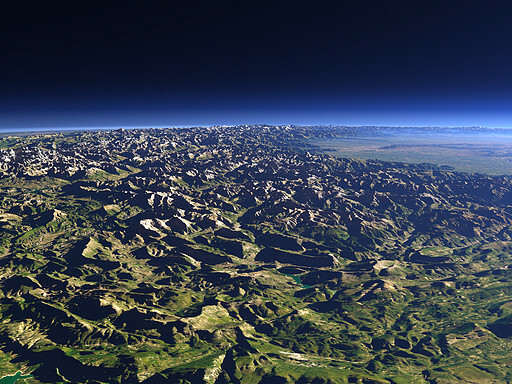 In the background the higher parts of the western Alps and the Po Basin in northern Italy.